This will be my second year walking with team, Walk for a Cure. I became involved when a real good friends of mine Steve and Gincy (Team Captain) were informed that Steve has the early stages of this horrible disease. Steve is a retired Disneyland Imagineer and if you’ve been to either Disneyland or California Adventure you’ve sure to have rode one of the rides imagined, designed or built by Steve. and entering my name, Richard Kreis and then following the information on the screen. Last year with your help we were able to provide $800 in donations, this year my goal was to reach a minimum of $1000.00 and to date we have raised $710.00 in donations. 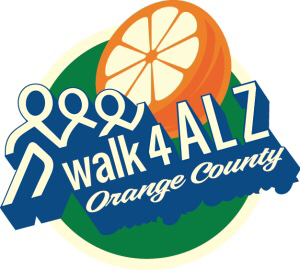 If you would like to make a tax deductible donation to Alzheimer’s awareness and help us meet or even exceed this goal any and all donations will be greatly appreciated by myself, Team Walk for a Cure and all those who will benefit from your gift.